There is a real Santa, and he’s being detained for questioning in Moorhead until after Christmas. 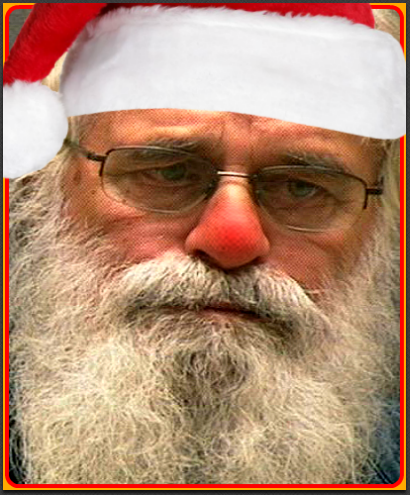 Moorhead, MN – Authorities in the quirky town of Moorhead have detained a man claiming to be the real Santa. Investigators have a plan to hold the Santa Man until after Christmas to prove that either he is an impostor, or that he is indeed the real Santa, in which case millions of children throughout the world will not receive any presents for Christmas. In the meantime, the Santa Man has requested some eggnog and cookies to help keep his spirits up, and some hay and salt blocks for his team of nine reindeer. If you and your children would like to come and visit the Santa Man in jail to request presents for Christmas and possibly pet Rudolph and his friends in a temporary petting zoo, simply contact the Moorhead authorities who are detaining the real Santa and who are possibly going to ruin Christmas for everyone on Santa’s Nice List.